Do you like Badminton Legends? Share it with your friends. 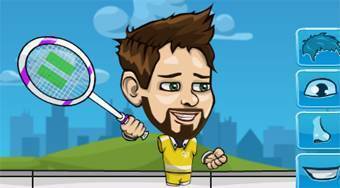 Badminton Legends is after football, tennis, hockey and basketball another part of the great series of sports flash games, which this time is dedicated to popular badminton. Create your own player and then play either against the computer or against your friend at one computer. The winner of the match is the player who first gets seven points.